The far southwest of England is a world unto itself, with a persistent Cornish culture. 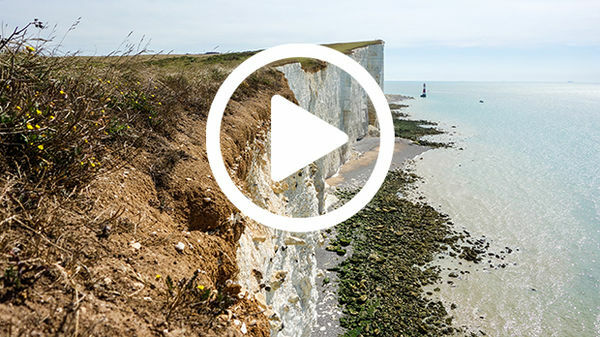 We'll explore a world of flowers springing from towering hedges, a tin-mining heritage going back to biblical times, salty pirates' towns and fishing villages, and the Land's End of England. Then, side-tripping deep into the vast and mysterious Dartmoor National Park, we'll hike to forgotten stone circles and chase wild ponies. Tim offers the perfect mix of expertise and teaching, enjoyable company, and great driving. He only books by the day, rather than by the hour. Mining here collapsed in the 1980s, and Margaret Thatcher ended subsidies that were keeping it afloat — effectively prompting the closure of the mine (and earning lots of Cornish enemies). Today, considered virtually a shrine by the local community, this mine — once 2,100 feet deep and extending half a mile under the ocean — been converted into a museum, exhibiting most of its original buildings and machinery. Even if you're not into heavy metal, this unique look at tin mining is fascinating. England's longest hiking trail, and one of its most popular, runs 630 miles along the entire Cornish coast. The museum explains how underwater telegraph cables were made possible thanks to a new insulating material (a resin from a Malaysian tree called gutta-percha), how the cables were even more heavily armored in shallower water (where they could be damaged by the anchors of passing ships), and how ruptured cables were repaired in the briny deep. Ask about the worthwhile once-hourly presentation about underwater telegraphy, which helps bring the place to life. The tunnels are furnished as they would have been during wartime, when they protected England's very precious connection to the world. This open-air theater — with 700 seats carved out of the rock — has the most spectacular setting of any theater in England. While seeing a play is the best way to experience the theater (tickets are inexpensive and easy to get), you can also simply visit to enjoy the garden-like setting and the wonderful story of the amazing woman who created it. There's also a cliff-hanging coffeehouse (accessible only with admission). Bookending the English Channel along with France's Mont St-Michel (but on a smaller scale), this dramatic rock island is either a short motorboat ride off the coast, or, when the tide is out, connected by a pedestrian causeway to the town of Marazion. St. Michael's Mount is one of the few English castles open to the public that has remained associated with the same family since the Middle Ages. Family portraits, some quite recent, adorn the walls, and docents posted in each room are eager to answer questions. Mackerel Sky is the foodie's best bet in Penzance for a fun and creative menu featuring fresh local fish. The service is friendly, there's no pretense, and the tasty dishes are artfully presented. Reservations are a must (or eat at the bar). Regardless of whether Arthur is fact or fiction, windblown Tintagel Castle is striking. If you can handle lots of steep hiking up and down, this is one of England's more rewarding ruined-castle experiences. And as a bonus, you get to enjoy a spectacularly scenic stretch of Cornish coastline. Bring a picnic to have lunch with a view, or eat at the on-site café. In other parts of England, stone circles, stone rows, and standing stones are cause for a tourist frenzy. In Dartmoor, where the terrain is littered with the highest concentration of prehistoric monuments in the UK, they're lonely and awaiting your visit. Dartmoor gives you a chance to be alone with England's history, jaded sheep, stately wild ponies, and seemingly endless moors. Hundreds of Neolithic ruins dot the landscape of Dartmoor, but the Scorhill Stone Circle near Gidleigh may be the best. Stonehenge, the iconic stone circle, is much bigger — but it's also packed with crowds. This tranquil, forgotten stone circle is reachable only by a scenic stroll across a moor — making it a great sampling of what Dartmoor is all about: as much about the journey as about the destination. Once there, you'll be alone with the heather, broom, ancient history…and, often, sheep and wild ponies. Hi, I'm Rick Steves back with more of the best of Europe. And this time we're at the very southwest tip of Great Britain…it's Land's End…and we're exploring England's Cornwall. Thanks for joining us. Set on a rocky peninsula, Cornwall is a fascinating land. It's a pirate's punch of Celtic culture, legends of smugglers, and mining heritage. It has a rugged appeal that makes it a favorite among English holiday goers. We'll marvel at some staggering scenery, follow a miner deep into a tin mine, and then we'll eat his lunch. We'll enjoy a sublime beach, chase blennies in a Victorian rock pool, and then dine on bigger fish. In the vast and dramatic reaches of Dartmoor, we'll chase wild ponies, ponder our own private stone circle, and summit a big rock. The island of Great Britain is made of England, and the Celtic lands of Scotland and Wales. In the southwest is another historically Celtic land: Cornwall. After exploring Cornwall's Penwith Peninsula from a home base in Penzance, we'll venture north to Tintagel Castle and finish in neighboring Dartmoor. Along with its ethnic cousins — Brittany, Ireland, Wales, and Scotland — Cornwall was part of a "Celtic crescent" that nearly circles England. The Cornish people spoke their own language, which thrived for centuries. Fishing and mining were long the dominant industries, but today, tourism drives the economy. Cornwall, with a half-million residents, is a county of England (unlike the more autonomous Wales and Scotland). But many native-born locals consider themselves Cornish first, British second. The area is packed with ancient sites, historic monuments, and peaceful farm hamlets. The Gulf Stream brings warm, subtropical weather to Cornwall — making it perfect for gardens, walking, and basking on the beach. We'll visit the region's ultimate tourist trap first: the very tip of England — Land's End. Upon arrival, visitors pass through a gauntlet of tourist shops. It's a popular day out for families. The goal: a point where you really are at the end of England. This was once considered the end of the known world, the last land to be seen by departing ships. After gazing at the sea and guessing how far away from home you are, get the answer — for a price — at the touristy signpost photo op. A weather-beaten bluff just a couple miles away provides the same Land's End thrill without the crowds. It's Cape Cornwall. To be sure we know about special places like this and understand them, I'm joined by my friend and fellow tour guide, Tim Uff. Tim: Yeah, so this little church goes back to the sixth century. Just imagine a Celtic priest living in there with just little altar and a fireplace. That's all he needed. A short climb leads to the summit of this "connoisseur's Land's End." Here you can sit with the sound of the wind and the cry of the gulls. Enjoying the meditative view, I like to ponder how this small island has had an impact far beyond its shores. From the start, Cornwall's economy was based on tin. As far back as the ancient times, Greek and Roman traders traveled all the way to Cornwall for tin. You see, an important step in the evolution of civilization was the ability to mix tin and copper to make bronze. And when people entered the Bronze Age, they could make better tools and stronger weapons. Tin mining was the dominant Cornwall industry well into modern times. This evocative coast is dotted with 19th-century Industrial Age ruins. These desolate engine houses once pumped water out of the shafts so they could mine a half-mile down, and then, under the seabed, far out to sea. The ground here is honeycombed with mine tunnels. In its heyday, there were hundreds of tin mines in Cornwall. The industry peaked about 200 years ago with the Industrial Revolution. Back then, the demand for tin was huge, and mines like these were booming, making Cornwall one of England's wealthiest counties. Ruins look almost ancient, but it's easy to forget that less than 100 years ago, thousands of workers spent most of their waking hours in these crumbling buildings supporting their families. But Cornwall's glory days of tin passed. The iconic smokestacks today are the dramatic remnants of Cornwall's now-dead tin-mining industry, which just couldn't compete with cheap tin from abroad. Along with these old buildings another reminder of the mining heritage is the tin workers' simple lunch: the Cornish pasty. Rick: So this would be the classic miner's lunch, you could say. Tim: Yeah, the Cornish pasty. So you'd hold it on the crimped edge around here, like this, and the idea was that if you did have arsenic on your hands, then you would leave it on the crust. Rick: It's 'cause there was no way to wash your hands you're mining. Rick: It's just, you come out the mine, and you're going to eat, and you're hungry? Rick: So this is a "pasty"? How do you pronounce it? Tim: No, "pasty"; yeah, right. Yeah, so eat away! Rick: Mmm! Generally, what do you put inside of a pasty? Tim: You've got steak, onion, potato, and turnip — or "swede," as we call it. Rick: So any bakery around here would serve these? It'd be a great take out meal for a traveler. Tim: Yeah, absolutely; there're thousands of these made every day. Rick: Gosh, the original takeout food in Cornwall. I mean, 200 years ago for the miners and today? For us travelers. The last tin mine to close is now open to visitors — dedicated to telling the miners' story. The Geevor Mine closed in 1990. It represents the last hurrah not only of Cornish tin mining, but, in a sense, of Britain's Industrial Age. Exploring it, you'll gain an appreciation for the simple yet noble life of miners. Though closed for decades, it feels as though the miners could show up at any time to clock in. The blasting schedule was a reminder that punctuality in the mines was a matter of life and death. The miners' lockers were left just the way they were on the day the mine closed — with the miners believing that, somehow, they'd be back. Photos humanize the plight of individuals who lost their livelihoods. They remind us that when economics change and an industry dies, it devastates families and entire communities. In a huge structure nicknamed "The Mill," the stone was crushed to extract the tin. The miners brought in tons and tons of raw ore, which was put into big drums like this, which would then tumble, and with the help of metal balls like this, it would break the ore into smaller and smaller pebbles. The noise must have been deafening in here. You'll see how a vast room full of "shaking tables" — like giant machines panning for gold — separated the tin from the waste. Tin and other heavy metals are the dark material at the back, while the lighter waste slowly shakes forward. With 90 tables shaking, each day hundreds of tons of rock gradually gave up a few tons of coveted tin. For the finale of your visit you slip on a coat, don a hardhat, and head both underground and back in time…deep into one of the original 18th-century mines. The shafts — narrow and low — give you a sense of the difficult life of miners and their perilous working conditions. Former mine employees serve as guides, and are happy to tell the story. Miner: Here we are; we're in a section of the tunnels that's 250 years old, approximately. This mine itself didn't work under the ocean but a lot of mines in this district — the St. Just mining district — went under the ocean for sometimes a distance of a mile and half. Tin mining is hard-rock mining, where you look for a lode, and then follow veins of tin through the surrounding rock. Miner: And once they establish where the tin is, they then work upwards through the earth and downwards through the earth, extracting that vein from the rock. Rick: Even under the sea if necessary. Miner: Even under the sea, yeah. Rick: So if they took a hundred tons of rock out of the mine, how much tin would they hope to find? Rick: Just one ton — that's hard work. Miner: It is. Extremely hard work. Cornish mining had a diaspora in the 1800s, with large numbers of skilled miners emigrating. Miner: The Cornish miner has moved all over the world. From Canada and North America, Mexico, down into South America, New Zealand, Australia, South Africa, even Cuba. There are hundreds of thousands of people around the planet now that are directly related to those Cornish miners who took their skills with them. And in fact there was a definition, and it still holds true today, really — largely — that "a mine is a hole in the ground with a Cornishman at the bottom." For me, the top charms of Cornwall are gathered in its extreme western tip: the Penwith Peninsula. Touring this unforgettable 30-mile loop features rugged, windblown scenery. Content cows ignore the views. Little hamlets with their stony barns are just going through another century. Skinny country lanes are lined by towering hedgerows. I'm glad Tim's doing the driving. You can hear the branches scraping both sides of the car at the same time. The winding hedgerows, built before motor traffic, are an icon of Cornwall. While they may look soft, they're hard as rock. These date back to medieval times, when farmers cleaned up their fields by stacking rocks to make walls lining the lanes. They have a stone frame, are filled with earth, and then are overgrown with vegetation. Those who get out of the car and hike are richly rewarded. Walking all or even part of the South West Coast Path, you'll enjoy memorable moments around every corner. This coastline had more than its share of unscrupulous trade. There were pirates, mostly state-sanctioned buccaneers plundering the coast of France and French shipping. And there were smugglers dealing in highly taxed contraband — like spices and booze. Tough little Lamorna Cove was a favorite for smugglers. You can imagine them quietly beaching their boats by moonlight. Eventually, the cove went legit…with the granite trade. Imagine the work involved in quarrying and then shipping slabs of granite from this tiny bay. The massive embankment of the River Thames back in London didn't just happen — it was made from huge stones quarried from places like this, and then shipped. Nearby hides another coastal delight: Penberth Cove, a tiny fishing port. Its "capstan," or winch, still hauls a few tough little boats up the cobbled landing. The stones are scarred by grooves — worn by generations of hard fishing. Rick: I find this so evocative, with the capstan, and these old fishing boats… When you see this port, what do you think of? Tim: I mean, this is going back to the time when pilchards were a very important part of the Cornish economy. I mean, all around the Cornish coast, there were as many little pilchard coves as they could squeeze in. Tim: Well, pilchard's a large sardine. Rick: And why are they important? Tim: They were a huge part of the diet of the Cornish people, and a big part of the economy of Cornwall for centuries. Whether you were a farmer, a fisherman, or a miner, it was a big part of your diet, and how you survived the winter. Rick: So what would it be like if you lived here back when pilchards were the key to surviving the winter? Tim: Well you'd have a huer up on the cliff, and his job was to really look to see if the sea turned purple. If the sea turned purple, then the pilchards were coming in, and he would call with his big trumpet — shouted "hevva, hevva," which was the cry of the fish, and then they would all come running down and push the big seine boats out and pull the mile-long net out, and then everybody would come down and help out, and get all — five million fish in one net was the most caught in St. Ives once. Rick: And it really helped them get through the winter? Tim: Yeah, they really needed to catch those fish. If they missed it, they would possibly starve. Hiking the Penwith Peninsula can be like exploring an open-air archaeological museum. It's dotted with stony souvenirs from around 2,000 B.C. Stone circles hosted ritual gatherings and functioned as celestial calendars. These stones were covered with turf — likely a burial mound or tomb of some local chief. And weathered crosses helped guide Irish pilgrims traversing Cornwall on their trek to Spain. A hidden surprise on this otherwise rugged coast is the delightful beach at Porthcurno. With its graceful arc and golden sand, it seems to have been imported from some far-away tropical paradise. In fact, if you try hard to forget you're at such a northern latitude and pretend the water isn't so cold, you could swear you were in the French Riviera. It's a hit with both parents savoring a hard-earned break, and their frolicking children enjoying the surf. But running below the sand — unnoticed by these holiday-makers — is a historic cable. It leads to a fascinating museum all about the telegraph. Porthcurno was strategic for its telegraph station — the largest in the world back in the 1920s. The British ruled a global empire and needed a way to communicate with its far-flung colonies. It developed a way to send Morse code messages through cables across the seas. Exhibits of early Teletype machines explain these significant technological strides in what's nicknamed the "Victorian Internet." This was really important. In 1869 it took six weeks to get a message from here to India. Then, after they laid cables, in 1870, it took nine minutes. Eventually 180,000 miles of cable like this was laid on ocean floors across the planet, and this little port was its hub. But today, Porthcurno's big draw is a dramatic open-air theater. The Minack Theatre is carved out of a rocky cliff and gorgeously landscaped. Built in the 1930s by the visionary theater lover Rowena Cade, its stage is perched hundreds of feet over the sea. A visit by day lets you relax in the garden-like setting — with its exotic plants thriving in the subtropical climate. If the weather's fine, grab a grassy seat and go English — enjoy a cream tea, picnic style. Tim: Well you've always got your jam on first, and you've got to put the cream on the top, when you're in Cornwall. Rick: That's a lot of cream! Tim: Oh yeah. Just a little dollop on the top, like that. That's exactly how you're supposed to have it. Rick: That's how you do it! You are one of my favorite guides! Tim: I'm going to finish this one off. Watch the seabirds. Gannets glide looking for a fresh fish lunch. When they spot one, they dive for it, and hit the water at 60 miles an hour. I'm staying for tonight's performance. Throughout the season, theater lovers enjoy inexpensive plays in this unforgettable setting. The adorable little port of Mousehole is famous for smuggling and for fishing. Its cute harbor is protected from the wild sea with an entrance…narrow as a mouse hole. Due to the dramatic tides, the boats here are designed to be stranded in the mud — and stay upright until the water returns with the next high tide. Rick: Modern beach fun today, but I get a sense this has been a protected harbor for centuries. Tim: Yeah, we're standing on a harbor wall here, which dates back to the 14th century, and much of the village is the same. A lot of it was destroyed then by the Spanish Armada in 1595. Rick: So wait a sec — the Spanish Armada out there lobbing cannonballs…1595? Tim: Yep, they rebuilt in the 17th century but you can still find some of the cannonballs in some of the houses now. These days the town the town handles its flood of summer tourists and day-trippers beautifully. It's a hit with visitors, and hearty English holiday goers gather along the embankment to avoid the wind and catch the sun. Nearby is a rock pool built a century ago for Victorian kids to enjoy the sea life stranded there with each low tide. Chasing fast crabs and darting blennies delights children to this day. The South West Coast Path laces together the entire coastline of the Penwith Peninsula, often becoming an easy seaside stroll. Standing dramatically just off the coast is St. Michael's Mount. This rock island has been inhabited for over 1,500 years. Once a Benedictine monastery, it was later a fortified castle, and eventually a stately home. And through the centuries, people have minded the tides — just as tourists do today — as they venture across this causeway. The seaside trail broadens to a promenade as it passes Penzance — long the leading port of the peninsula. Today's Penzance is a blue-collar transportation hub with a hardscrabble edge. Its facades, while impressive back in the Victorian Age, are a bit shabby now. Rough and real Penzance is my favorite home base in the area. Entire streets are lined with small guesthouses and B&Bs. It's an enjoyable place to "come home to" at the end of a busy sightseeing day. Tonight, we're dining out, and around here, seafood's a good bet. Throughout England these days, young restaurateurs and creative chefs are putting Britain's reputation for boring food to rest. The service [at Mackerel Sky Seafood Restaurant] is friendly, and the atmosphere is casual and fun. W e're enjoying a sampler plate of today's catch. And for our main course, it's hake, lobster, and haddock — all locally caught. An hour's drive north is Tintagel Castle, the legendary home of King Arthur. Rocky, remote, and romantic, the ruins, while scant, are strikingly situated. As you explore, appreciate the naturally fortified, easily defensible position of this rock-top castle. The real King Arthur — if he actually existed — was supposedly born here and ruled his lands from this desolate outpost. Recent digs do indicate that this place was a curiously important center of trade back in early medieval times. While the popular tales of Camelot are pure fantasy, they may have been based on a real person. While there's no physical record of a King Arthur, experts have reason to believe that a ruler by that name probably lived in this area back in the sixth century. A short drive further north takes us out of Cornwall and into the neighboring county of Devon, where we venture into remote and windswept Dartmoor. Perched on the edge of the moor, the tiny town of Chagford is an easy home base for exploring Dartmoor. The small-town atmosphere here makes you feel like you've stepped into a time warp. 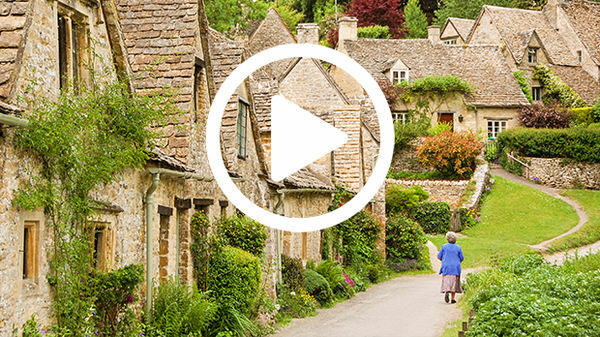 It has a classic English village feel, with a picturesque church and cemetery, and cozy pubs that double as inns for hikers to spend the night. One of England's most popular national parks, Dartmoor is one of the few truly wild places left in this densely populated country. A "moor" is characterized by open land with scrubby vegetation. England's moors are vast medieval commons — rare places where all can pass, anyone can graze their livestock, and — in the case of Dartmoor — ponies run wild. Dartmoor sits on a granite plateau, and occasionally, bare granite peaks called "tors" break through the heather. Rising like lonesome watchtowers, these distinctive landmarks are the goal of popular hikes. Haytor is the most famous of these rocks. For the tenderfoot, the climb to its summit can be a challenge. It's not El Capitan, but it's hard to beat that "king of the mountain" feeling, and the rewarding views that come with it. A well-planned walk through the moors rewards day hikers with vivid memories. Stone-slab "clapper" bridges — some medieval and some even ancient — remind hikers that for thousands of years, humans have trod these same paths and forded these same streams. Tall stones guided early travelers. This one — erected by pagans, long before Christianity arrived — was later carved into a cross. The iconic ponies of Dartmoor run wild. Their ancestors were the working horses of the local miners. Living in the harsh conditions of the moor, these ponies are a hearty breed, known for their stamina. Today they're beloved among hikers for the romance they bring to the otherwise stark terrain. Of the hundreds of Neolithic ruins that dot the Dartmoor landscape, the Scorhill Stone Circle is my favorite. Tranquil and nearly forgotten — erected some 4,000 years ago by mysterious people for mysterious reasons — it's yours alone...the way a stone circle should be. It's just you and your imagination. Enjoy the quiet. Ponder the 40 centuries of people who've made this enchanting landscape their home, and the wisdom of today's English to protect it and keep it pristine. From Land's End to the wild wonders of Dartmoor, I hope you've enjoyed our swing through Cornwall and the southwest of England. Thanks for joining us. I'm Rick Steves. Until next time, keep on travelin'.